If you are paying a lot of bills every month and you often end up forgetting some due dates which eventually results to extra charges and skipped payments, I guess apart from using your Mobile Phones and Tablets, you may opt for a Bill paying calendar like what is shown above. 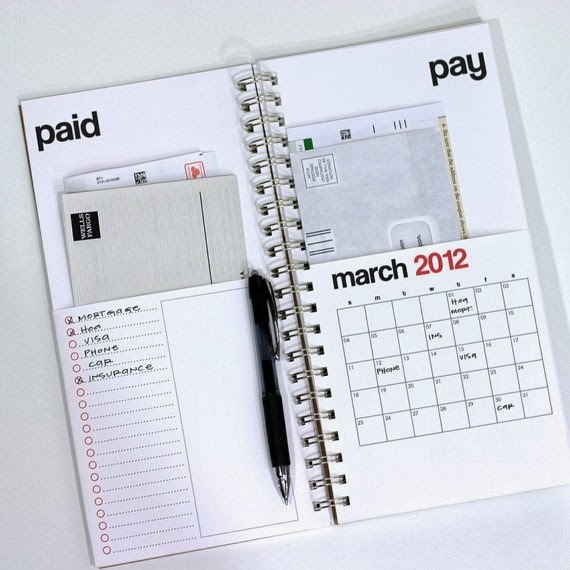 I saw this from Etsy and I think it's also a cool and organized idea of keeping track of your bills at home especially if you have several bills to pay in a month and you're a very busy working Mom. You just have to make it a habit to check this note from time to time so you would get reminded with those bills at hand. It's being sold on Etsy but you can also make your own using recycled materials. The idea is easy. You just have to put those bills in the "Pay" section upon receiving these from mail, then you have to make a list of the due dates on the calendar and after the bill has been paid, you just have to move it to the "Paid" section. So cool!